Haka: A dance of diversity or ignorance? Rooted in culture of New Zealand's native Maori, the synchronized display of male bravado has grown popular on athletic fields. But is it true to its origins? King Willem-Alexander and Queen Maxima of The Netherlands during the Powhiri met Wero ceremonial challenge by Toa-Maori warrior and Haka Pohwhiri welcome ceremony at the Government House in Wellington, New Zealand, 7 November 2016. After the ceremony the King and Queen meet Governor General Dame Patsy Reddy and her husband Sir David Gascoigne in the Porrit Room. The Dutch King and Queen are in New Zealand for an 3 day state visit. Photo by: Patrick van Katwijk/picture-alliance/dpa/AP Images Trent Nelson | The Salt Lake Tribune Douglas Fiefia (center, 39) leads Bingham in a Haka dance after they defeated Alta, in the 5A state championship game, at Rice-Eccles Stadium on November 17, 2006. 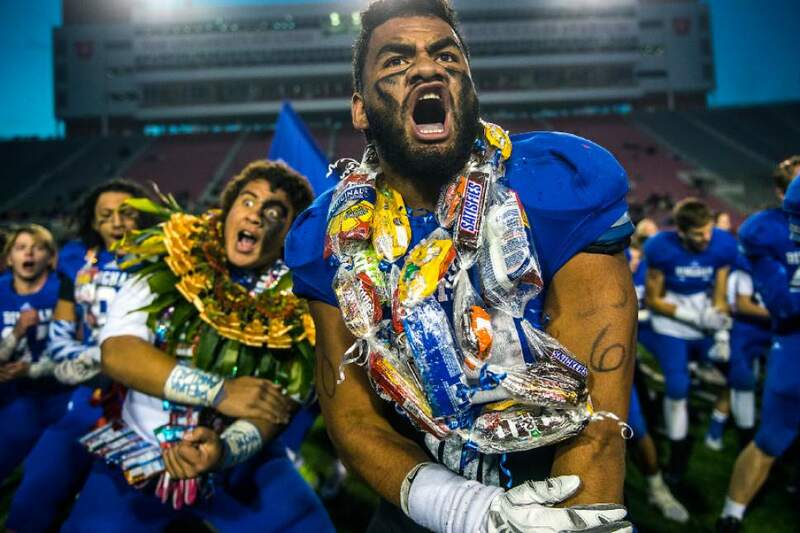 Scott Sommerdorf | The Salt Lake Tribune East players do the Haka after East beat Timpview 49-14 for the Utah 4A championship, Friday, November 20, 2015. No. 53, offensive lineman Johnny Maea, committed to play college ball for the U. in early December. 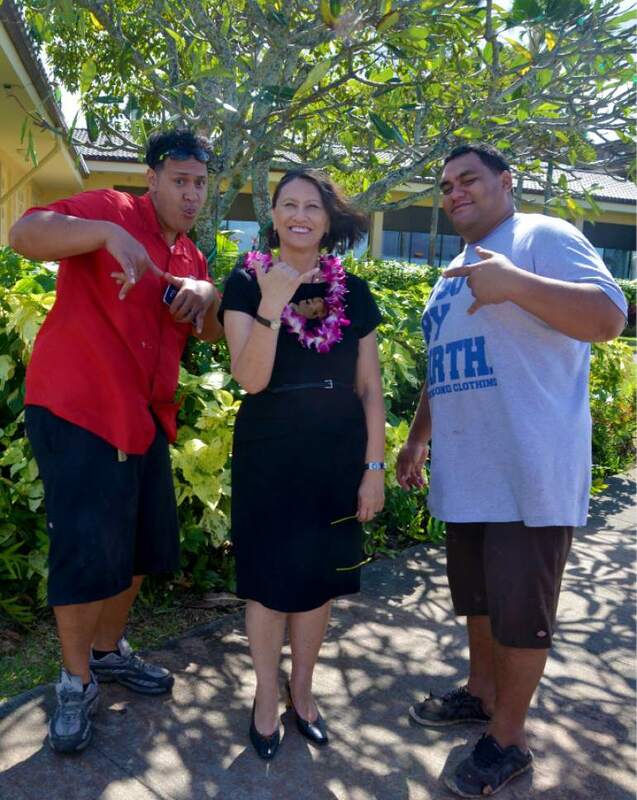 Michael Stack | Courtesy JaddyToelupe, left, and BradenSika, right, with Debbie Hippolite-Wright, BYU-Hawaii vice president, who objects to the commercialization and exploitation of haka, a sacred Maori dance. 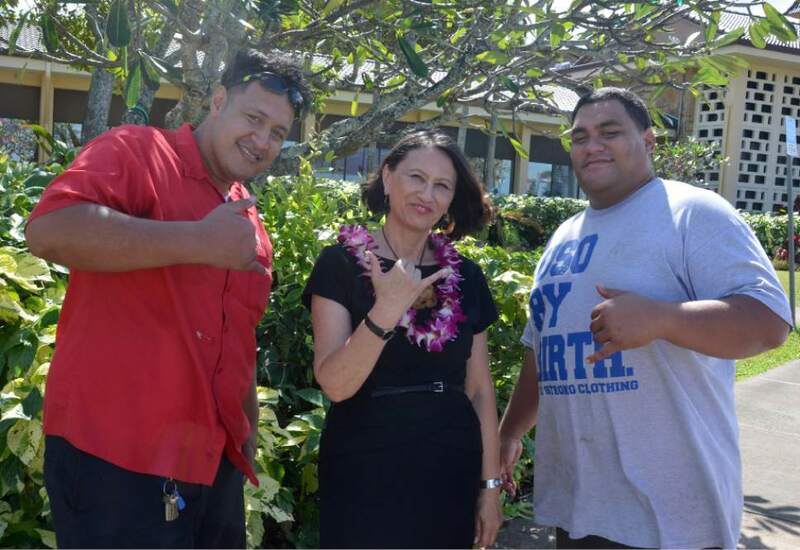 Michael Stack | Courtesy Jaddy Toelupe, left, and Braden Sika, right, with Debbie Hippolite-Wright, BYU-Hawaii vice president, who objects to the commercialization and exploitation of haka, a sacred Maori dance. Michael Stack | Courtesy Debbie Hippolite-Wright, BYU-Hawaii vice president, objects to the commercialization and exploitation of haka, a sacred Maori dance. 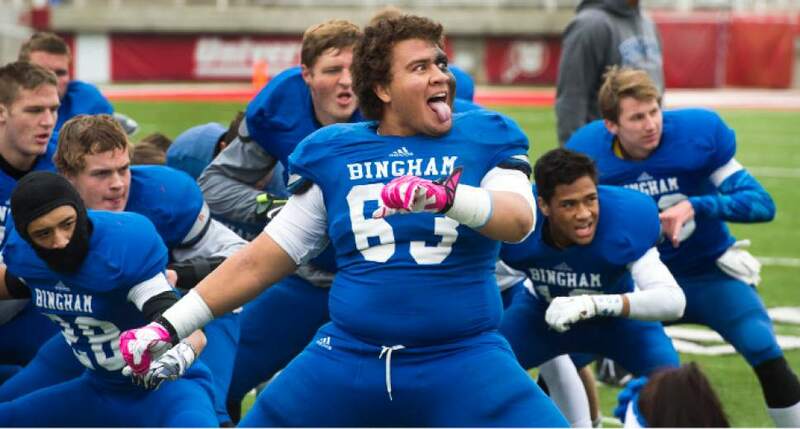 Chris Detrick | The Salt Lake Tribune Bingham's Daniel Langi (34) does the Haka with his teammates after winning the 5A state championship game at Rice-Eccles Stadium Friday November 21, 2014. Bingham defeated American Fork 20-3. Steve Griffin | The Salt Lake Tribune Bingham's Justen Nuffer leads his team in the Haka dance prior to the start of the 5A semifinal football game between Bingham and Riverton at Rice-Eccles Stadium on the University of Utah campus in Salt Lake City, Utah Thursday, November 13, 2014. 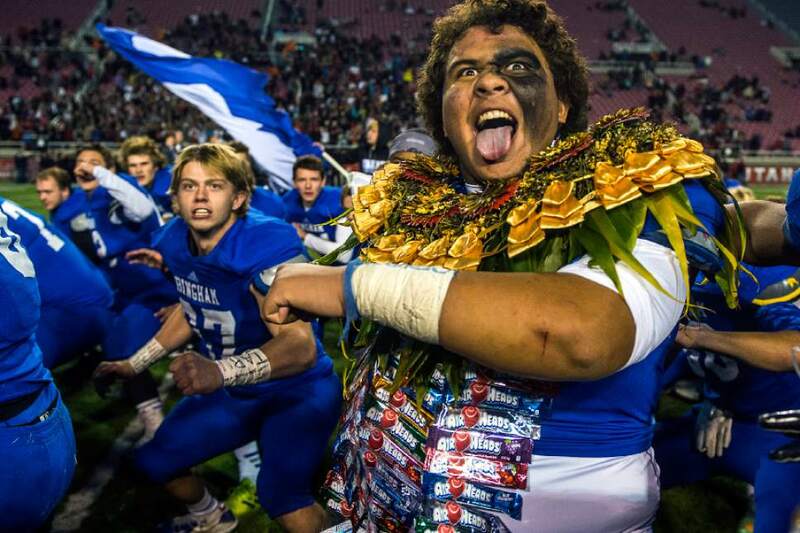 Chris Detrick | The Salt Lake Tribune Bingham's Uilisoni Ofahengaue (63) does the Haka with his teammates after winning the 5A state championship game at Rice-Eccles Stadium Friday November 21, 2014. Bingham defeated American Fork 20-3. 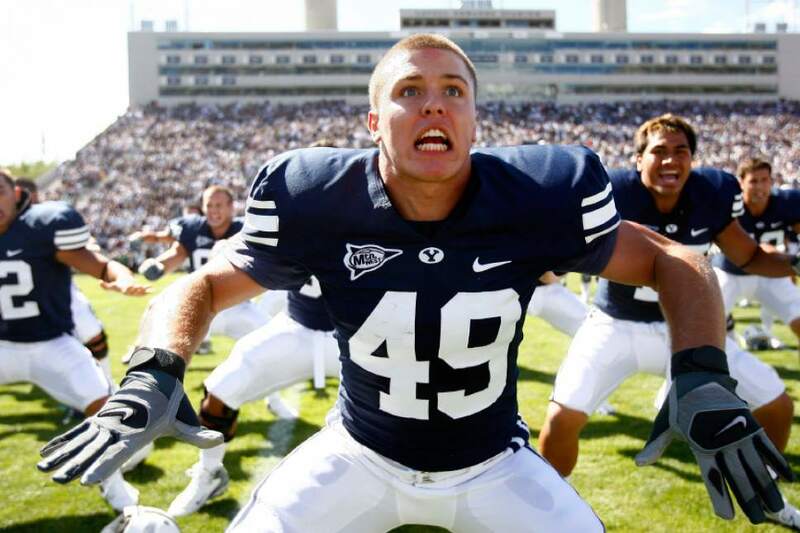 Chris Detrick | The Salt Lake Tribune BYU RB Ryan Folosom does the Haka dance before the start of the game against Arizona at LaVell Edwards Stadium on September 1, 2007. Laie, Hawaii • You&apos;ve seen it on TV or at a football game  men in formation, bending knees and arms in synchronized gestures, chanting unfamiliar words in unison, grunting, scowling. The exotic movements are at once mesmerizing and a tad threatening. This is what most Americans know of haka, a kind of male-dominated dance brought to this country from New Zealand decades ago and experienced most often at athletic events. The Maori-rooted ritual has become so popular that these days it is deployed to glorify a particular team or to sell stuff  like sneakers, toys, sports gear, even baked goods. Imagine animated gingerbread men pounding their pastry chests. To Maori like Debbie Hippolite-Wright, however, such uses betray haka&apos;s sacred origins and purpose: to celebrate the triumph of life over death. It is beyond offensive, says Brigham Young University-Hawaii&apos;s only female vice president. "Without acknowledging the haka&apos;s meaning ... and without its cultural anchors, it&apos;s a caricature." Hippolite-Wright explains in an academic paper how it came to be. In the 19th century, the famed Maori warrior chief Te Rauparaha, a sibling of her own ancestor, was being chased across the plains of New Zealand&apos;s north island. To escape capture or death, the chief hid in a pit, while his wife blocked the entrance. In the dark, he composed the words of a prayer, asking: "Ka Mate" ("Will I die"?) followed by "Ka Ora" ("Will I live?"). After his enemies gave up and left, Te Rauparaha emerged from the cave. He danced with joy at his survival, attaching the words he had written to his gestures. Since then, the collective posture and chanting have come to represent New Zealand  especially Maori  identity and pride. It was popularized by that nation&apos;s wildly successful All-Blacks rugby team as a symbol of unity. 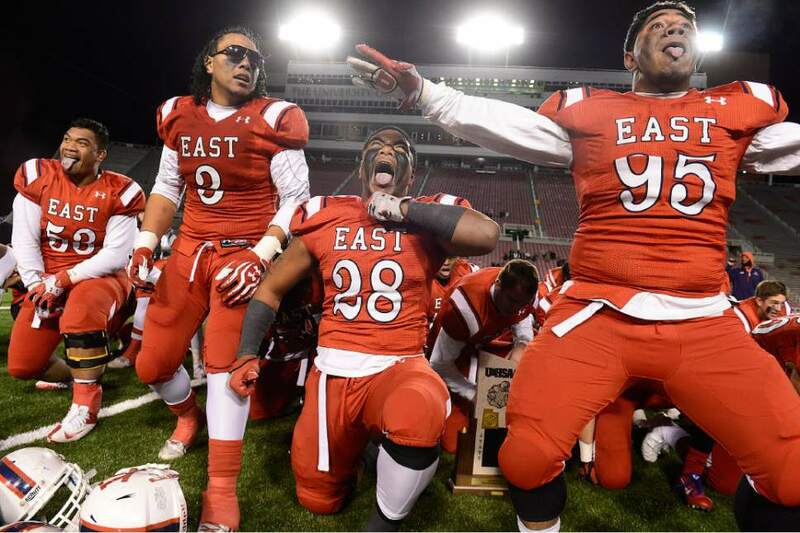 In the past few decades, haka has traversed the ocean to teams in the West  including Utah. But Hippolite-Wright is not all that pleased with the way her national treasure has been appropriated  even misappropriated  by others, without acknowledging its author, its place in a particular tribe, or understanding its intention. Plus, she says, too many versions include shirt tearing (not part of the original) and do not include women and children (who were). Generations of Maori have "contextualized the message for themselves," she says. "They did not exoticize it for someone else. " Alive in Utah • Pacific Islanders have been vibrant threads of Utah&apos;s fabric for more than a century, so it was only natural that many of them found their way onto the state&apos;s playing fields. In the mid-1970s, Larry Gelwix of Salt Lake City&apos;s Highland High School organized the state&apos;s first rugby team at that level. The program became hugely successful, racking up scores of national titles. Gelwix incorporated a prematch haka that was memorialized in a film, "Forever Strong," about the team. Other high schools in the Beehive State, as well as colleges such as BYU and the University of Utah, picked up the Maori dance, from time to time, as a way to energize fans. 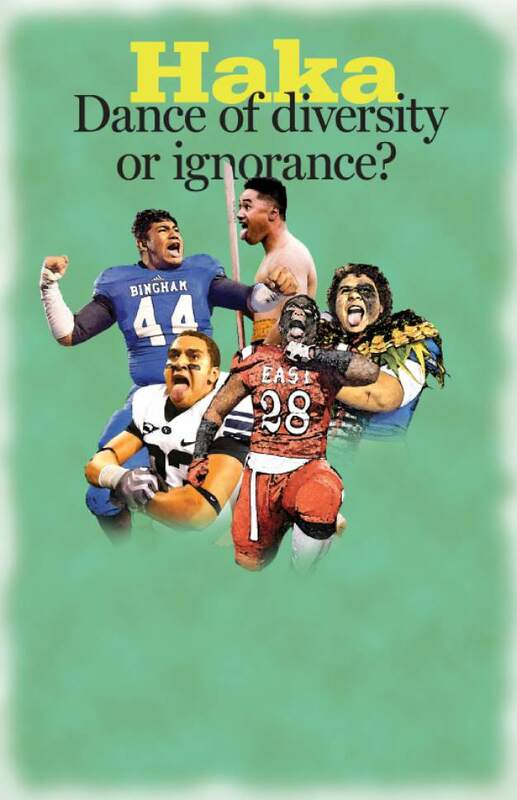 In recent months, however, many Pacific Islanders were appalled to see a YouTube video of an Idaho football team performing haka without a single ethnic person on the squad. "I couldn&apos;t even recognize it," says Moana Uluave-Hafoka of Salt Lake City&apos;s Community Empowerment Team. "It was almost as if they were mocking the tradition." Uluave-Hafoka grew up on the city&apos;s east side, where haka was a routine part of her experience at East High School. Every multicultural assembly ended with the Maori dance, she says, and then "it became a tradition." But she and her classmates had no idea what the words and motions meant, nor how they originated. Then Uluave-Hafoka served a Mormon mission to New Zealand, where she learned the language and the context. "Part of that is spiritual," she says. "The basic idea is respectful." In that country, haka is also performed at weddings as a sign of welcome, Uluave-Hafoka says, and the whole community  including women  participates. In the West, though, it has spawned a larger conversation among Pacific Islanders. Because haka is a war dance, it perpetuates and sustains a "stereotype of hypermasculinity" and "savagery," Uluave-Hafoka says, with the performers seen as "big, masculine and scary, and they&apos;re doing a dance we don&apos;t understand." 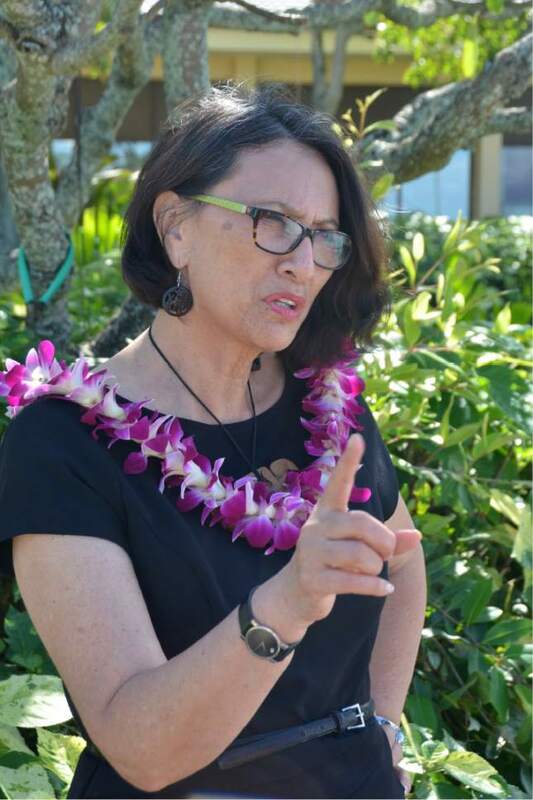 Uluave-Hafoka is "not a purist, because culture is dynamic, not static," she says. And she isn&apos;t so worried about how authentic a haka is. But there has to be respect, she emphasizes. "No one should be performing it in ignorance." Unites players and fans • John Lambourne was introduced to haka as a football coach at Hunter High School in West Valley City. Pacific Islanders accounted for more than a third of his team, he recalls, and they "wanted to do it." So when Lambourne moved to South Jordan&apos;s Bingham High School, which also had many players from that population, he incorporated the dance into the pregame rituals. "We do it before every home game, facing our crowd or our sideline," he says. "We don&apos;t do it at away games, complying with regional rules. But we might do it at an opposing school, but not on their field." Senior linebacker Brigham Tuatagaloa has been involved in directing haka for his teammates. He grew up watching the All-Blacks rugby team and was excited to participate at his own school. "We make it a priority to explain what the words mean," Tuatagaloa says, explaining that through the years the team has changed some traditional haka words and merged some previous versions "to make it our own." The experience creates camaraderie among teammates as they get ready to play, he says, and it "hypes the crowd." Ra Puriri, a Maori Mormon, has returned to New Zealand after working as a businessman in St. George. His brothers still live in southern Utah, where they coach high school rugby. They introduce haka to their players, who hail from a number of Pacific nations, and all bring the right attitude. "It is a special, sacred tradition," Puriri says in a phone interview. "If you are going to do it, at least do it correctly. Don&apos;t spin around and do Michael Jackson moves. Don&apos;t do it to sell hamburgers and hot dogs." "It gets kind of sexualized sometimes, like a return to cave men and pump-me-up gestures," he says. "That&apos;s when it&apos;s sad to me." At their best, the ritualized movements can help cultures link arms, Puriri says, as when Maori women danced haka at Standing Rock as a show of solidarity with American Indians protesting a pipeline slated to go through their territory. It was once a New Zealand tradition for Mormons to send missionaries off on their two years of voluntary service by doing the haka. That practice has been restricted in recent years, he laments. "This was about love, sending our spirit with them," Puriri says, encouraging the budding proselytizers to "be strong, be a warrior." Just like the Maori chief.